The Ride Machete GT has a mean super damp personality but with a forgiving aftertaste compared. 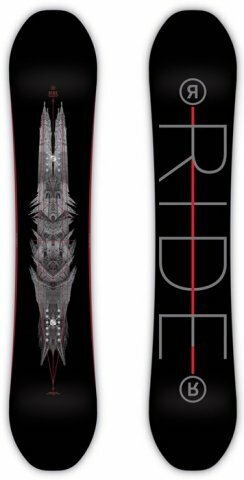 Even though they mellowed it out for 2017 it’s still a pretty damp aggressive mean twin for those that like speed on the mountain regular or switch but with a lot less consequence compared to camber. The 2018 and 2019 Ride Machete GT are pretty much the same ride so the 2018 review still stands. Conditions: Some days with hard patches but mostly good snow to really good snow. Conditions: Good snow with some left over pow stashes here and there and another day with hard conditions at the top leading to softer snow at the bottom. 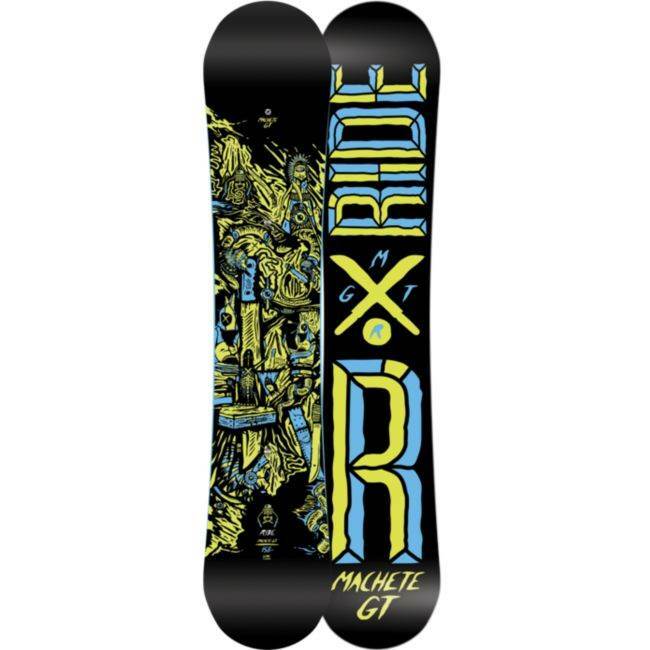 The Ride Machete GT feels a lot like the Ride Arcade UL and that is a really good thing. 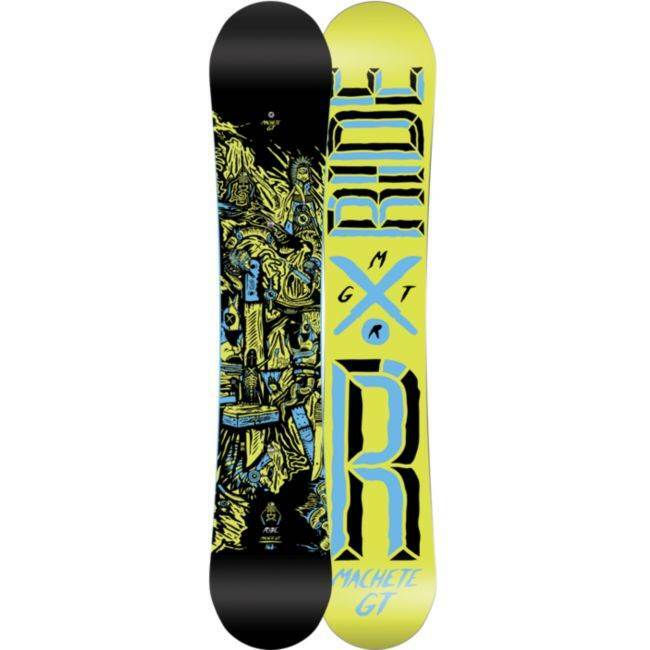 On Snow Feel: The Machete GT is a twin but it rides the mountain more like an all mountain board. The hybrid camber makes this more technical than the flat rocker Machete but less technical than it would be if it was just straight camber. 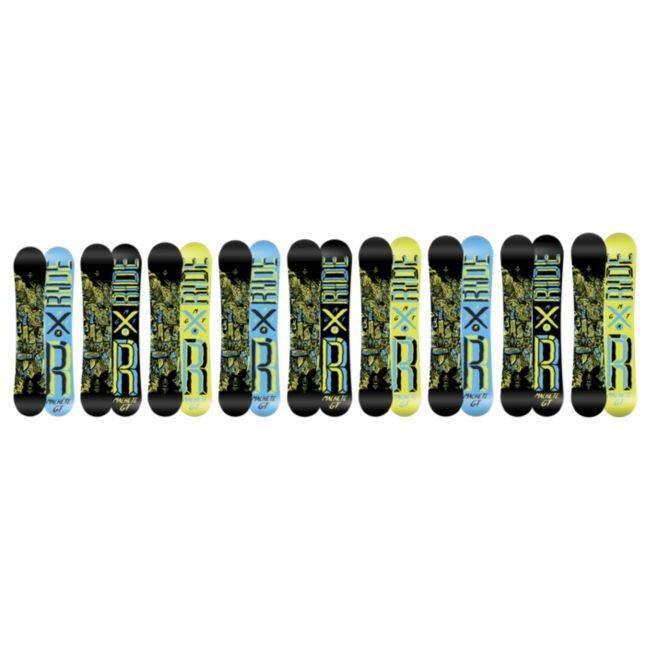 This is the kind of board that likes to take on the mountain at high speeds regular or switch and look for terrain to ollie or jump off of. It wants you to stop in the pipe or hit the jumps when you see a park. Its a very stable board between the feet for one footing and flat basing. 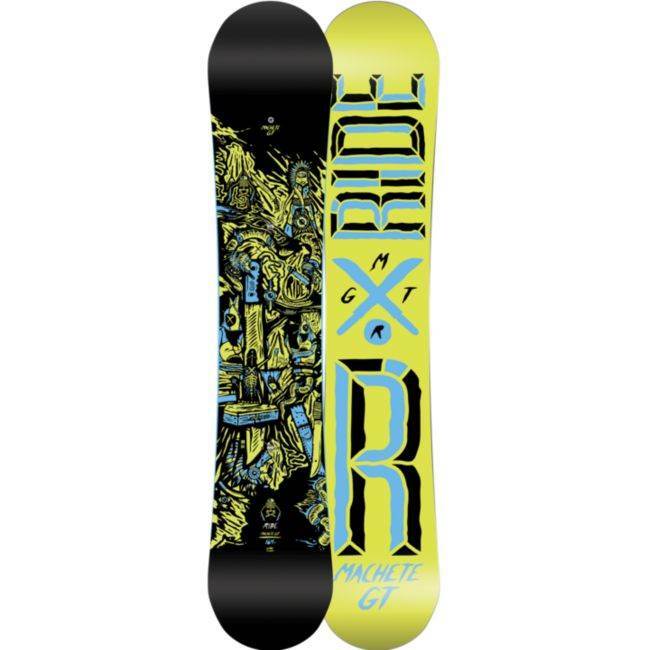 Powder: The Ride Machete GT is a twin with a centered stance and although it’s mostly flat the camber that runs through most of the board makes point a slight bit down. The tip/tail that points up early helps this float better than a camber but its not going to compete with the flat to rocker shapes that ride has. Still this will be fine in shallow or light powder but if you ride in a lot of deep powder this will be a lot more work to stay afloat. Turn Initiation and Carving– The Machete GT was very lively and fun to engage a turn with but it wasn’t totally easy. This we both felt was very good. This could transition from edge to edge pretty fast and it was fun to make short or wide radius turns. This had a very camber feel to it when it came to turns. When it came to carving the Machete GT was really fun for a twin and you could lean into a carve as hard as you wanted without it washing out. It’s not going to have that magic that many directional boards of the same flex have but it’s great for a twin. Speed: For a Twin we had a good time with the Machete GT. It gave us flashes of brilliance similar to the Ride Highlife UL. Its base glides well and the board is pretty damp. It’s just a little shy of being seriously fast like the Highlife UL. Uneven Terrain: Pretty good for it’s more aggressive nature. Ride has a nice bumpy snow shield in their build for this board. Approximate Weight– Seems a slight bit heavier than old Arcade UL. 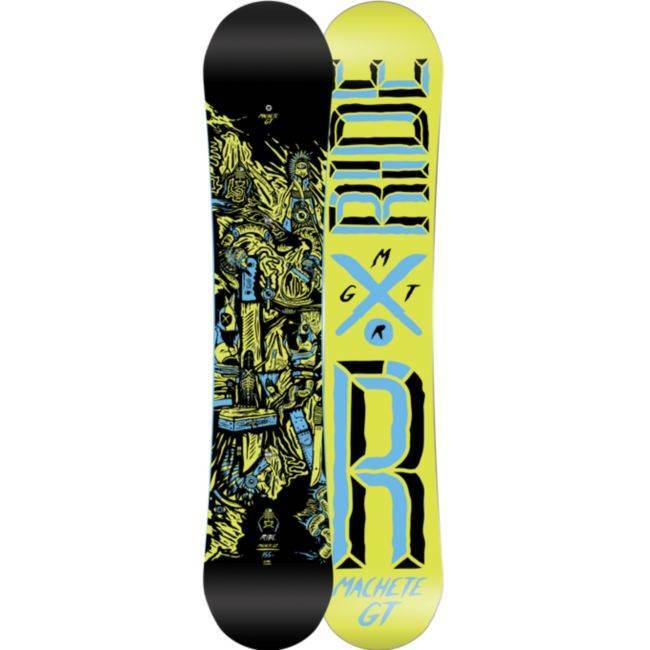 Edge Hold: On the day we tried the Machete GT we tried many other boards with many different kinds of side cuts out there and the Mathete GT was very much in the middle. We’d love to see Ride do a little something extra with the side cut to give it great edge hold. 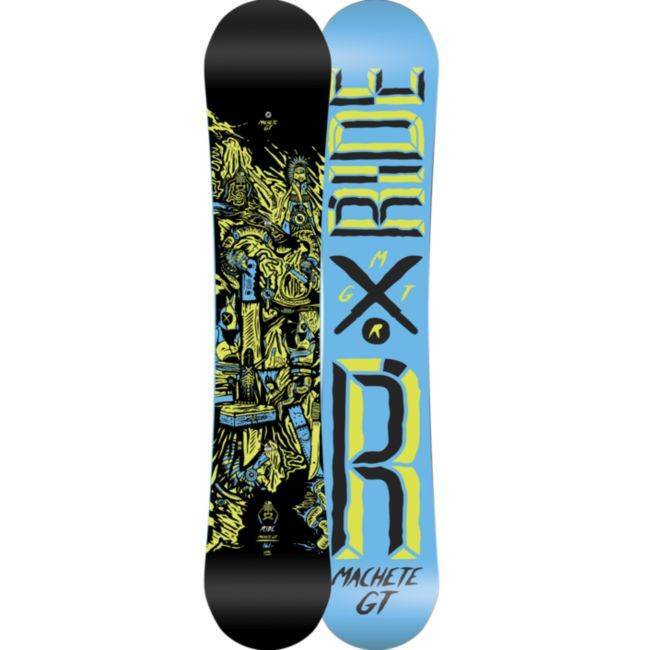 Something like Magnetraction isn’t necessary but just a little something more for the harder days would make the Machete GT perfect when it comes to an all conditions ride. Flex: Feeling medium border lining on aggressive. Switch: This is a twin with a centered stance so the switch ride is just the same as the regular. We felt switch was just as easy as regular too. Jibbing– This isn’t as good as a jib board as it’s a pipe/jumps board but a good jibber can still manage here on less technical to mid level jibs. Pipe: If the edge hold was a little better this would be an excellent pipe board. Still this is really fun in the pipe.. Jumps: The Machete GT was very springy and it generated its own air very well. 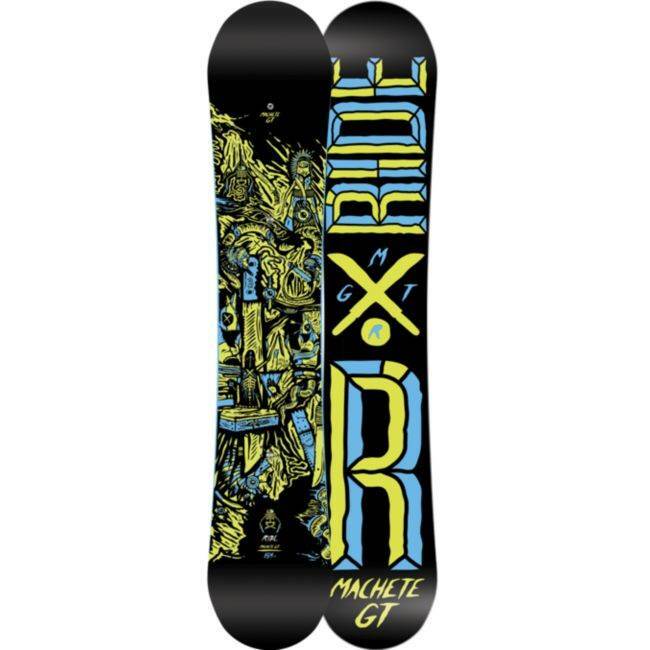 The Machete GT is great off of bigger kickers as well and all of us had a blast with this springy board. The only ride Twin we liked better was the Arcade UL. 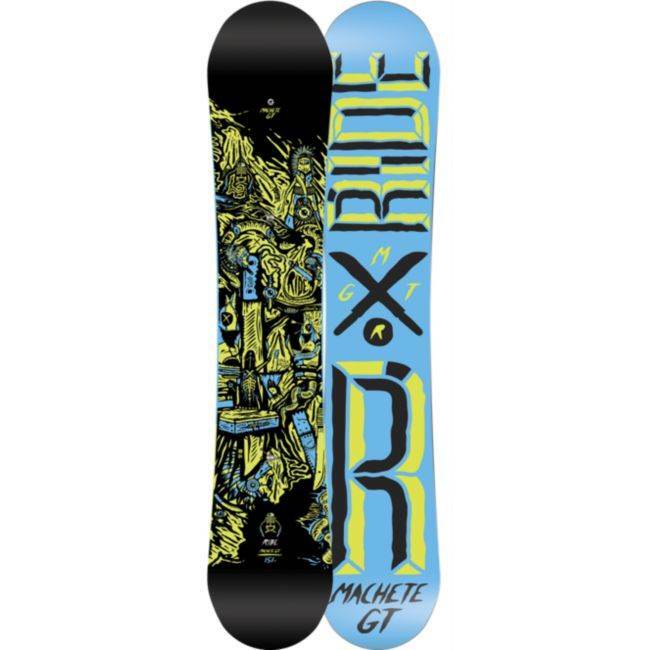 We try to get as many images of the Ride Machete GT, but forgive us if they're not all there. Nothing bad to say. Everything I wanted for all mountain. And excelled when my resort froze over and all there was left was park, was easy to learn to job on. But now that I love to job I'm probably going to buy a westmark. 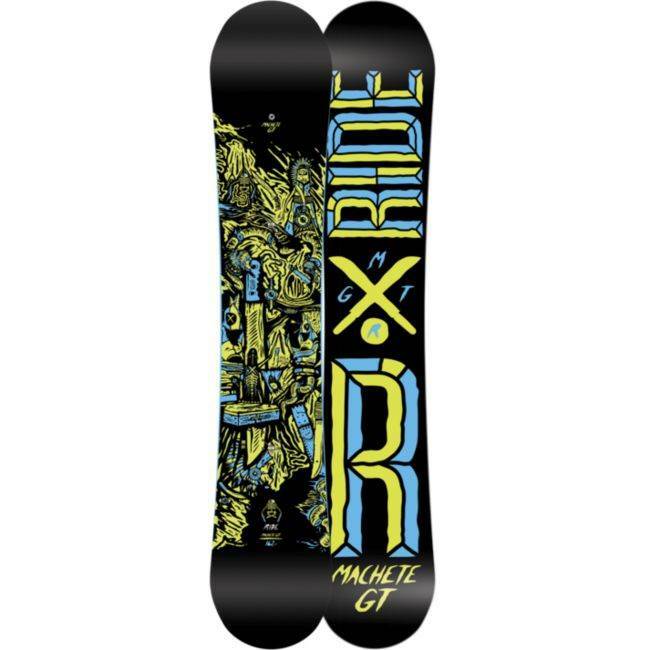 This board rocks. 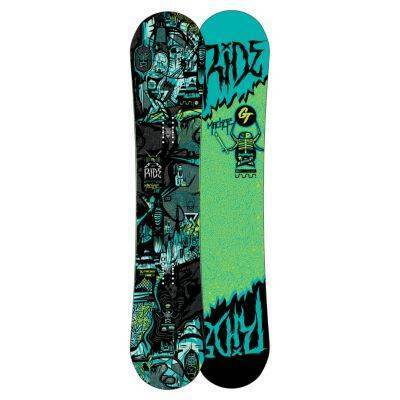 I o dr analyze all my purchases and narrowed down to this board. It carves like a laser. High speed - no chatter. Total stability, great turn response. It is also very light and poppy. 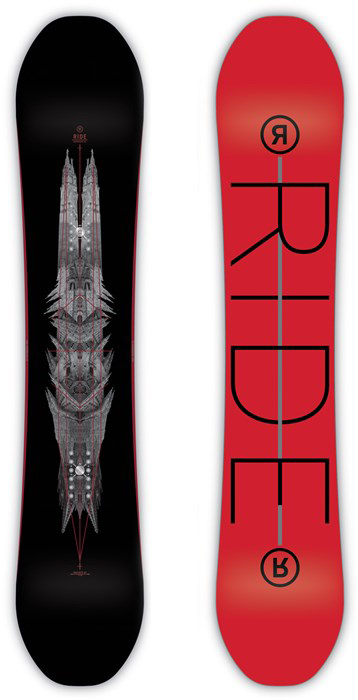 This was a replacement for my burton twin and this is definite better. I am using Saloman Cypher bindings and I like those a lot.